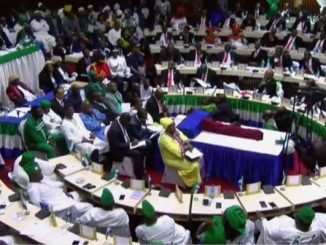 Sierra Leone has over the years entered into bilateral and multilateral relations with many countries in the world, some of these relations have proven to be very positive whilst others have not yielded the required dividend. Although the country continues to remain poor, that calls for credible friendship with other nations that have succeeded in fighting poverty. 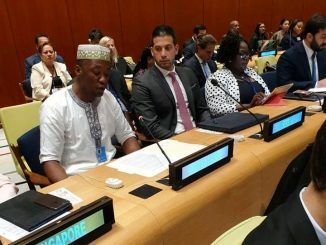 Sierra Leone remains a true friend of countries like People’s Republic of China, Korean Republic, Federal Republic of Nigeria, India, Japan, Malaysia etc., all of which continues to provide immense support to the poor West African nation in various fields like education, health, infrastructure development and so on. This writer would like to make it very clear that although there are some bad eggs coming from some of these countries, the fact remains most of them have been very supportive and have put on their best behavior to the extent that one perceives them to be citizens of this country. This article is not in any way castigating those that are born and raised in Sierra Leone, who knows what it takes to build a suffering nation; rather it is meant to draw the attention of the authorities about the growing Lebanese interest that has yielded no dividend in our nation. Lebanon is a country that I admire so much, because of its courage it has maintained over the years to ensure peace in the Middle East. It is one of the countries that have a very long historic tie with Sierra Leone. But what has come to my realization of late is that some of these Lebanese brought in to invest in our nation are not good investors. They have succeeded is retrogressing our beloved nation rather than helping it to grow. These wicked Lebanese Investors have reaped and continue to reap the nation to an extent that they are now making a mockery of the country’s backwardness. They are the major cause for the backwardness of the Diamondiferous Kono District. They were the major smugglers of diamonds in so much that the country’s international image turned out to be a sinking ship. These are the Lebanese guys who boasted that they have the government in their pocket, a statement that has now become a common phenomenon amongst bad Lebanese who normally see them and treat their Sierra Leonean workers as slaves. 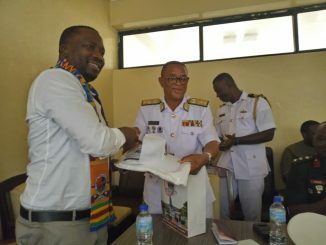 Let us take for instance the owners and managers of SAMCO Rice Importing Company, a company that was recently shut down by the Standards Bureau for bringing substandard rice into the country. SAMCO is just perhaps one amongst many more Lebanese-owned companies that are bringing in substandard commodities to sell to the public without thinking about the consequences. Who knows, as major importers, some of the products consumed by Sierra Leoneans brought in by Lebanese Businessmen may have led to the spread of diseases like typhoid fever and malaria and other related medical complications. Generally, food sustains life, and besides this pure biological function, it makes humans happy. But when once people start consuming substandard foodstuffs leads to food poisoning, and the victims are normally dragged to their early graves. Who knows how many people must have fallen as victims of food poisoning caused by evil importers? Let me hastily say I don’t hate the Lebanese, but the fact remains some of them are very hostile to Sierra Leoneans. They reap the economy by not paying taxes, importing bad products like rice (as indicated by the Standards Bureau), some of them would go to the extent insulting and assaulting their poor workers and take advantage over their poverty. Some of these cases have been reported to the police but nothing comes out of it at the end of the day, especially after must have greased the perms of Police officers. They are treated with greater respect then citizens because they have the ability to bribe their way out of challenging issues. 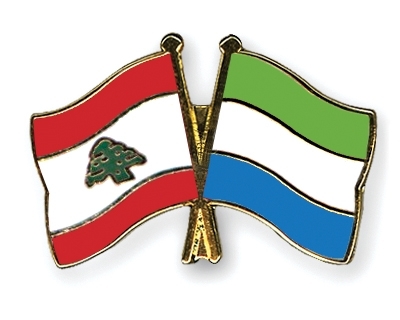 Some Sierra Leoneans are currently in jail as a result of their encounter with Lebanese employers, but you’ll never see a Lebanese been detained for violating the law of the land. This is because some of our authorities have sold their birthrights to Lebanese Tycoons that have strategically placed themselves in some major parts of the economy. No wonder they’ll use our own resources to build their nation whilst leaving poor Sierra Leoneans to wallow in the wilderness. No doubt that the Lebanese are involved in all sectors of the nation’s economy, but have they really contributed to the development of Sierra Leone compared to what they have milked from the country over the years to improve their own nation. 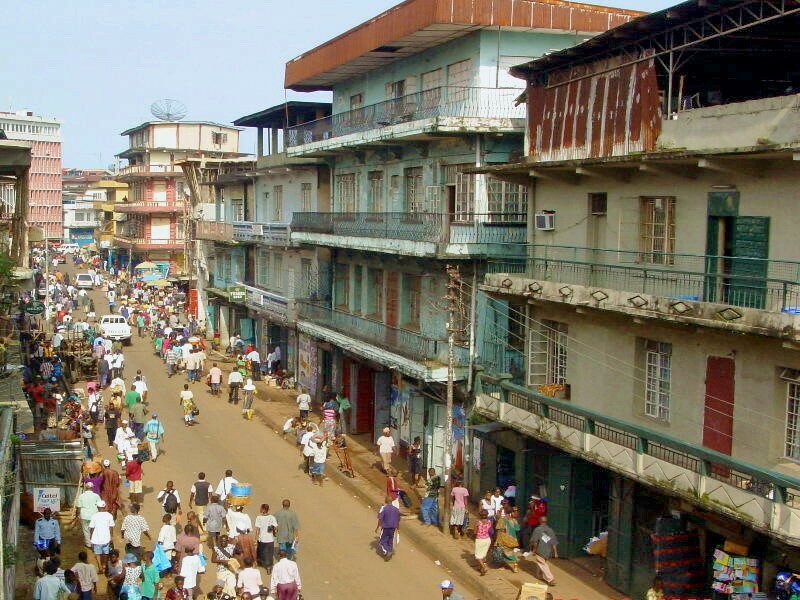 Most Lebanese in Sierra Leone are traders who sell Fast Moving Consumer Goods like food, electronics, car parts, building contractors, and engineers etc. What has perhaps contributed to the backwardness of this country is the so-called group interest in the power sector, which is more complex than other sectors of the economy. The Lebanese have their main interest groups in high places, which is why most of them coming to do business wouldn’t want to return to their home country. They have the money, control key authorities, carry a chunk of bank loans, they are entitled to lands more than citizens of this country due to their ‘bribing powers’, they can easily influence decisions from above as against poor Sierra Leoneans. Their key interests are centered on selfishness and greed, and they continue to enjoy some selfish supports from their friends in high places. What I have learned and fully aware of is that no country achieves economic progress through self-interest that recognizes and puts premium above national interest. It is often said that capitalism is about self-interest because the importer is out to maximize profits and the consumer is out to maximize satisfaction from products consumed. In the Adam Smith’s “Wealth of Nations”, Smith opined that the aggregate of individual wealth in the society constitute the wealth of the nation. The entrepreneurs are expected to invest and make money, pay their workers as and when due to promote consumption and generate revenue therefrom; re-invest the profits in the economy to generate more output while in the process, create more employment opportunities, as well as, encourage competition through innovations and technological progress. The Sierra Leonean economic managers more often than not craft unfriendly importation policies that result in high cost of domestic production but promote a largely import-dependent economy where the only small proportion of the revenue generated is re-invested in the economy and the larger importation of goods form part of the documented growing illicit capital outflows. 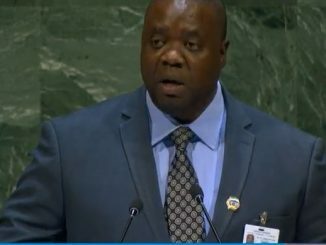 As long as self-interest overrides national interest in economic activities, or personal interest is allowed to supplant national interests, so long as a group of investors has to arrest or destroy investments of competitors in order to survive, that is how Sierra Leone’s economy will continue to suffer. The Lebanese must be closely monitored. See part two of this article soon. We know the cause of the problem and so let’s try to solve it in a civilised and constitutional manner. Do we have business minded Sierra Leoneans who can also deliver then the government should encourage and help them stand on their feet. The Lebanese will only change their attitudes towards us if they see that the majority of us are working in the interest of our country. The SLPP led government should lead the way!!! !